They say that it’s not safe for a recovering alcoholic to return to the same friends and hangouts they used to have. I took that message to heart when I found myself overwhelmed by bad habits, an unhealthy body image and addictions when I quit stripping almost two decades ago. It wasn’t alcohol or drugs that ruled my world, rather sexual addictions and a need for drama. I hung up my stilettos and unfortunately, my acting shoes, too, because I could not really separate one stage from another. I left behind my greatest dreams to find a peace of mind I yearned for more than a successful acting career. There was plenty to fill the gap: I returned to school and shifted my focus from my external self to everything I could accomplish solely with the powers of my mind. I found new happiness and success: valedictorian of my college, an MFA in Creative Writing, a yoga teacher certification (although, granted, this involved my body, too), a published book, a college teaching career, a husband, a family. Sure, the acting bug would pop its shiny head up every now and then and the question would rise: What if? I did. I auditioned. For the first time in fifteen years, and it felt good. I felt like I was back in my element. Back amongst people who understood my love to make believe and my search for understanding. 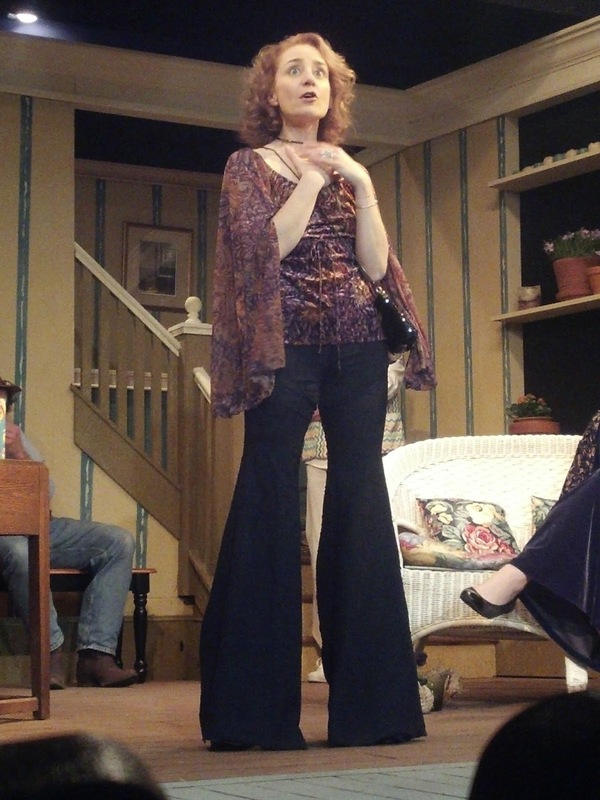 Playing Gwen Landis in Lanford Wilson’s “Fifth of July” at the Town Players of Newtown has brought back the joy, the commitment, and interestingly—the peace without the drama of my younger self. The peace that I find onstage when I release myself to my character and let the rest of the world stop. This is why I acted. I had forgotten the transportation of self I experience—that same expression of a deeper self I experience when I write, when I teach, when I practice yoga, when I love my family. I see the cross-connection—the exuberance of experience, of entering a deeply felt sense of life and awe of being. I open myself to this and allow myself to be attentive to my next steps upon this journey.